A kid points out a missing tooth. Several decades after the formal discovery of Autism Spectrum Disorder (ASD), most of its genetic and behavioral mysteries remain an enigma to the parents, biomedical researchers and mental health professionals who address the many challenges faced by this population on a daily basis. The search for answers is now taking over the duties of a mythical creature: the Tooth Fairy. A team of researchers at Drexel University's A.J. Drexel Autism Institute, joined by specialists from the Center for Autism Research at Children's Hospital of Philadelphia, will be collecting thousands of lost baby teeth in a vast project to study the effects of environmental exposure in the womb. "We'll be looking at how chemical exposure during gestation might elevate the risk of autism among younger siblings who have already been diagnosed," said Craig Newschaffer, founding director the Autism Institute, in an interview with PhillyVoice. The research is funded by the National Institutes of Health as part of its $157 million Environmental Influences on Child Health Outcomes (ECHO) initiative, an effort to examine how both current and obsolete chemicals contribute to the prevalence and pathology of a variety of conditions. Drexel and CHOP will be joined by nine other co-investigators at institutions across the United States. Relying on advancements in microspacial sampling and mass spectroscopy, Newschaffer and his team will analyze the calcified dentin in baby teeth for traces of organochlorine pesticides such as DDT and polychlorinated biphenyls once used to insulate electrical transformers. Pfthalates, formerly an ingredient in plastics fabrication, will also be part of the investigation. "In baby teeth, it's almost analogous to rings on a tree or a geologist testing core samples," Newschaffer said. "You can actually figure out when in the dentin it was laid down during the second and third trimesters, working backward with little biopsies." The focus on youngers siblings is part of a larger concern about genetic susceptibility, where the vast majority of biomedical research dollars have been committed to better understand the causes of autism. "It's not a simple or straightforward mechanism at this time," Newschaffer said. "Our group and others believe these complex pathways have to do with certain exposures that carry risk genes." Since the turn of the century, families and researchers have struggled to make sense of an apparent explosion in the number of children diagnosed with autism. Young boys, in particular, are about five times more likely to be diagnosed with ASD than girls. The numbers alone are shocking. In the United States, rates of ASD more than tripled to 420,000 cases between 2000-2010, according to a review of data on enrollment in U.S. special education programs. The condition has surged to a prevalence of up to 1 in 45 children, the CDC concluded in a separate study. Much of this incredible rise, however, has been attributed to a shift in diagnostic methods that saw a simultaneous two-thirds decline in the number of children labeled with intellectual disability during the same ten-year period. Factor in greater awareness of autism and the numbers are at least partially accounted for by a host of fundamental changes to our medical terminology, social understanding and treatment of children with neurodevelopmental disorders. "The diagnosis has been expanded to include those more on the mild end of the spectrum," said Steven Glazier, a Bala Cynwyd-based psychologist who serves on the board of ASCEND, the Asperger and Autism Alliance for Greater Philadelphia. Even Asperger's syndrome, whose founding researcher emphasized the wide range of symptoms and abilities among his patients, has been rolled into the broader ASD definition under the DSM-V released in 2013. Over the years, Glazier's practice has put him in a position to advise and care for numerous families whose children live with ASD. 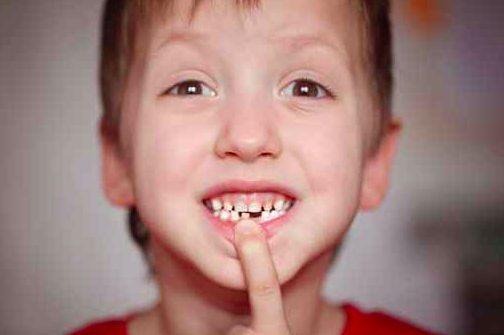 The baby tooth study, he believes, is a good example of research that addresses multiple questions about autism for both medical researchers and families. Chief among those questions is the risk of having another child with ASD. The risk of reoccurrence when an older brother or sister has autism is a higher-than-typical 7 percent for their younger siblings, according to an influential 2013 study. "It's a lot to weigh out for families," Glazier said. "That decision about the next child frequently comes up because of the tremendous amount of time, energy and services involved in raising a kid who has autism. Even if the child is neurotypical, there are still important issues to consider. Many families see that a second child can be a sibling for the first child to help improve social skills, sharing and frustration tolerance in their brother or sister." On the medical side, chemical exposure has increasingly become a key clue in understanding the genetic causes of disease as it arises in each unique individual. Greater vigilance produces studies like last week's U.S. tap water report, which publicized the concentrations of chromium 6 — a known carcinogen — discovered in samples taken from cities including Philadelphia. "I wouldn't be surprised about the role of an environmental influence [in autism] and it's certainly worth looking at those risks," Glazier said. "It's a worthwhile investigation." Newschaffer, who has researched the genetic links of environmental toxins in the past, said autism presents a uniquely thorny challenge. "Autism spectrum is a complex phenotype," Newschaffer said. "It's not a simple presence or absence of one thing. We look at lung cancer by comparison and think that's simple, but even then there are counterpoints with smokers and non-smokers. Once you think about autism, the range of phenotypes and presentations suggests the causes are complicated and there is a mix of things acting." For this reason alone, it's just good science to explore an environmental link with neurotoxins. "I think we know that much of the rise we've seen [in ASD] over the past two decades is driven by our growing understanding of it," Neswchaffer said. "That doesn't mean there aren't other contributors. There's been a lot of focus on this question and it's a big reason we're looking at exposure risk. Even if it's zero, we still have to look at it. If the real risk of any disease changes within a short amount of time — I mean decades, not generations — it's a strong signal that the environment could be involved." In his own words, Newschaffer takes care not to characterize autism as a disease, but rather a complex neurobehavioral condition. That's a crucially important distinction to make. Even as attention continues to pour into the politics of vaccination — often without current science anywhere in sight — the real jaws of the debate around autism in recent years has been over its place within the neurodiversity movement. Championed by proponents such as science journalist Steve Silberman and clinical scholar Barry Prizant, the movement seeks to celebrate different abilities for what they are, encouraging ASD treatment approaches that emphasize human interaction and engagement with the world. Nowhere is this viewpoint more deeply resonant than the autism community itself, where those with ASD and their parents have become outspoken self-advocates for greater inclusion, understanding and new priorities surrounding the issues they confront. "There's a community that's getting more and more vocal," Glazier said. "Two of ASCEND's board members are self-advocates. Many are growing concerned with the amount of money that goes to finding a 'cure'. The cohort of parents and children who were diagnosed in this 'explosion' of autism are now experienced teens and adults. They're speaking for themselves about their ASD being part of the natural neurodiversity of the world." What does autism awareness mean to autistic people? The backlash against "cure" research, often identified with organizations such as Autism Speaks, has unmistakable roots in the socioeconomics of treatment and the comparative dearth of funding that goes toward resources for those who live with ASD in the here and now. Only in recent years did the state of Pennsylvania establish a Bureau of Autism Services to help families whose circumstances don't fit neatly under the purview of the Department of Mental Health or the Department of Intellectual Disability. Glazier points to an alphabet soup of treatments — Applied Behavioral Analysis (ABA), Pivotal Response Therapy (PRT) and Relationship Development Intervention (RDI), among them — that have been developed for children with autism but simply aren't available to everyone across the board, whether they're paired with psychiatric medication or not. "If families have financial resources, they can seek out options. Those who don't have to work with the system," Glazier said. "You get better services if you have more money." As he sees it, biomedical studies have implicated thousands of genes involved in autism, and while this research presents a distant hope, the core symptom of autism is a lack of relatedness to other people. "The most important thing for kids on the spectrum is to have caretakers who really understand them and learn to see the world through their eyes," Glazier said. "When kids feel that they're understood, when treatment is structured to engage them reciprocally, then the treatment starts to feel right to them." When it works, the results can be remarkable, particularly in light of the unique gifts attributed to many with ASD. Glazier recalled one patient who was fixated with Thomas the Train well past the age when most kids have moved on from him. That kid became an accident inspector for the National Transportation Safety Board. "So many of them have such strong abilities that society can really utilize as we move forward," Glazier said. "There is no blood test for autism right now. It's still somewhat of a subjective call. The population is diverse. There aren't adequate resources to provide state of the art intervention for all children, no less those with special needs. That's very scary for families who have a kid on the spectrum about to enter kindergarten." As the Drexel and CHOP teams prepare to embark on several years of research, Newschaffer is both keenly aware of these hurdles and optimistic about the future of ASD awareness. "It's important to understand what the root causal mechanisms of autism are," Newschaffer said. "It's hard to argue against that, even for those in the neurodiversity movement and those on the spectrum. When we move away from terms like disease, we're taking steps not to brand autism as something that needs to be eradicated." Philadelphia is becoming an important hub in the future of ASD research and treatment. CHOP's Center for Autism Research is committed to practicing the tenets of translational medicine, a bench-to-bedside focus on innovative research, clinical care and support for both families and communities. The hospital's infusion of investments in pediatric genetic research, exemplified by last week's $25 million donation from Comcast CEO Brian Roberts, will enable CHOP and other providers to hone precision-based treatments that can identify a biobehavioral profile for each individual patient. "Through all kinds of approaches that are available to us, we need to look at what factors in the development of autism can be avoidable," Newschaffer said. "We want to help those with autism maximize the skills they have to get along in the world. We also have to work on the world to make it more understanding of neurodiversity." Newschaffer's team will study 1,713 in the ASD "Enriched Risk" cohort. That includes 1,281 "high risk" children — those with an older sibling already diagnosed — and 432 children deemed "low risk" because they don't have a sibling with autism. "We're going to try to start collecting teeth by mail in the fall," Newschaffer said. "They do well stored in ambient temperature. In 18 months, we'll have a validation on a subset of teeth and then complete experiments to measure teeth over the next two years. It will take several years to get as much information as possible and determine associations between exposure levels and outcome as children reach an age that we can assess." The Tooth Fairy, Newschaffer said, doesn't really have to leave the picture. She's just going to be awfully busy if she wants to help out. "She can give back in a different way other than leaving something under the pillow," Newschaffer said. "I think there's still room for her."